Counting books are the perfect way to introduce early math concepts while engaging children's imaginations and expanding vocabulary skills. 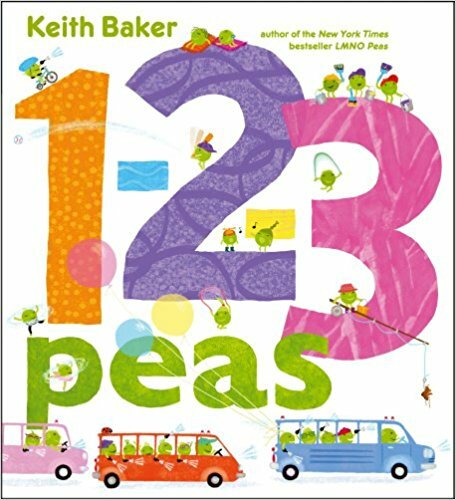 Below we've reviewed some of our favorite counting read alouds that capture the attention of young children while helping them to incidentally develop skills in counting forwards and backwards, numeral recognition, ordinal numbers, and simple addition and subtraction. 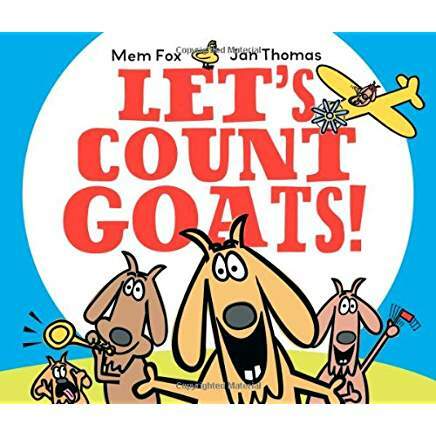 Unlike other traditional counting books that tell you what to count and how many are on each page, How Many? has multiple things to count on each page. Each two-page spread has an intriguing photograph - a box containing a pair of shoes, a number of grapefruit, a collection of avocado halves... and the prompt "How many?" How many of what? That is the fun. Readers might count one pair of shoes, or two shoes, or four corners of a shoebox. They might discuss whether two shoes have two shoelaces, or four. They might notice surprising patterns and relationships, and they will want to talk about them. This is one of those rare books that offers openings for all ages and abilities. 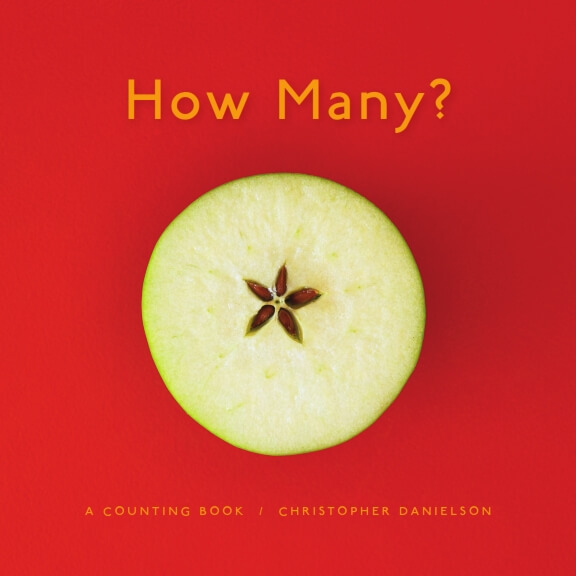 Also available with a Teacher's Guide, in which Danielson explores the mathematical ideas that will come up in a How Many? conversation, such as counting, number language, units, grouping, partitioning, place value, and vocabulary. Danielson helps teachers anticipate what students might notice and gives practical suggestions for facilitating rich conversations with students. 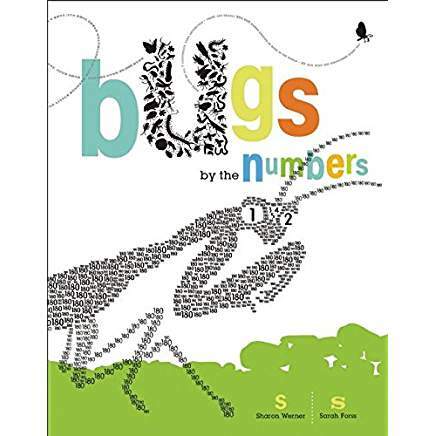 A wonderful math read aloud that you will return to again and again, this book will get both adults and children seeing and talking about the multitude of How Many? situations in everyday life long after the book is put away. The magnificent illustrations in this counting book depict an ever growing number of animals visiting a water hole, introducing the numbers from one to ten. 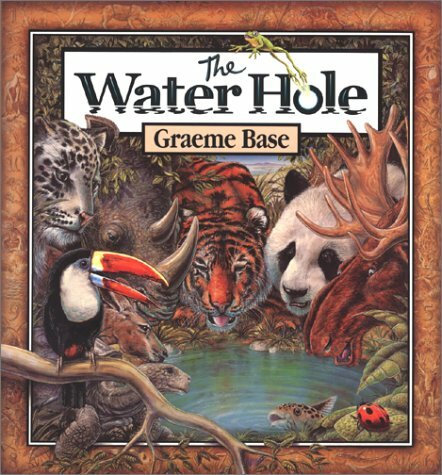 Viewed through die-cut elliptical holes of progressively decreasing size, the water hole becomes smaller with each turn of the page as the water diminishes until finally the animals disappear from the arid land. But then,thankfully, the rains come, bringing life back to the landscape. A glorious final double spread shows all of the animals returned. Each illustration in this book represents a different country, continent, or habitat with the locations revealed at the end of the book. Borders at the top and bottom of each spread feature silhouettes of ten animals indigenous to that particular scene, with renderings of these same creatures also cleverly concealed in the scenery on the page. These elaborately detailed illustrations provide a fascinating hidden-picture challenge which will entice readers of all ages to return to this book again and again. This book doubles as both an alphabet and a counting book. 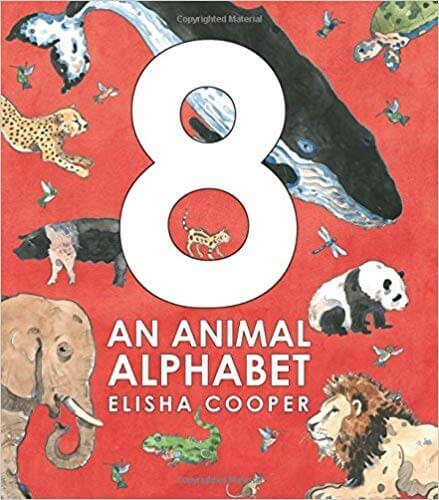 With 184 different animals organized from A to Z, it also provides lots of opportunities for counting as for each letter of the alphabet one animal is pictured 8 times. The hunt to find the 8 animals is made more challenging by the fact that the animal is not necessarily shown with the same coloring, at the same age, or in the same pose. At the back of the book a four page "Did you know?" section helps readers identify less familiar animals (e.g. uakari or zebu) and includes one fun fact about each animal (e.g. Did you know that gorillas yawn when they are nervous?) 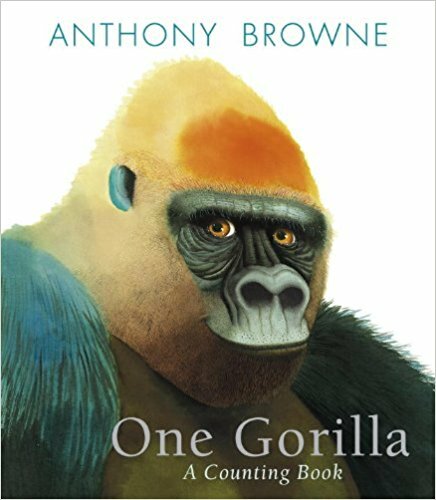 This unique book would make a fun addition to a classroom or home library and is sure to have readers of all ages noticing new things each time it is revisited. 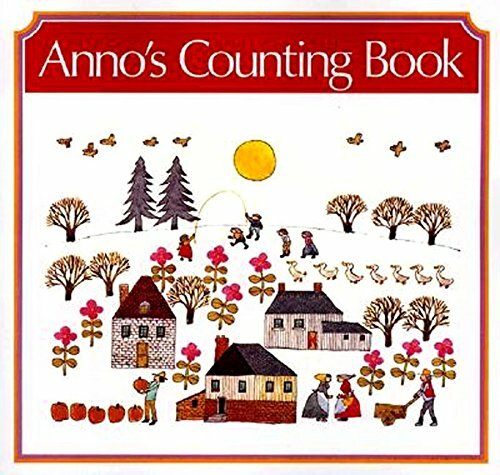 In this wordless counting book Anno uses simple watercolor pictures to depict the numbers 0-12, the seasons, and the months of the year. Unlike many counting books that begin at one, Anno begins at zero, with the first illustration showing only a snow covered landscape and a small stream. When the page is turned the numeral 1 is shown on the right side of the book and in the landscape one lone building, one tree, one sun, one snowman. There is also a stack of blocks on the left side of the book, with one block colored in. Thus, the child sees one represented as a numeral, as one block in a set of ten, and as an object (one building, one tree, one person). As the book progresses from 0 to 12 there is more and more activity on each page as the town grows, the seasons change and various structures and animals appear. Young children enthusiastically search for and count groups of objects as the numbers increase, the pictures become more detailed, and more blocks in the stack are shaded. For example, the number 4 is represented by groups of four (four fish, four pumpkins, even the church clock shows that it is four o’clock). The final page, depicting the number 12, shows the town at Christmas time, complete with 12 reindeer in the sky. 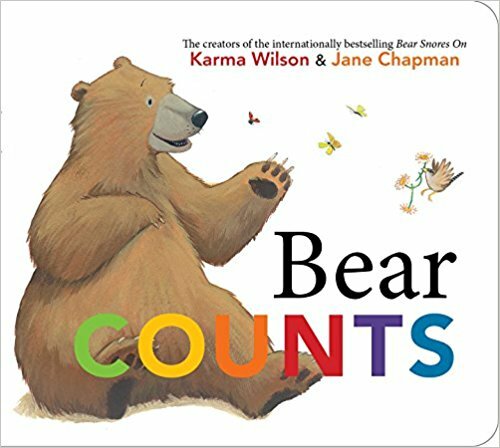 This counting book offers a thoughtful way of creating a dialogue about numbers (including zero) and lots of opportunities for counting sets. Also available in a Big Book version. What can you do with ten black dots? Many things, it turns out. “One dot can make a sun or a moon when day is done,” and “two dots can make the eyes of a fox or the eyes of keys that open locks.” Students will enjoy the simple rhymes, bold colors and interesting textures in this revised edition of the 1960's classic. The final pages in this counting book contain a chart showing the numbers one to ten, alongside the corresponding dots, encouraging students to count on by one. 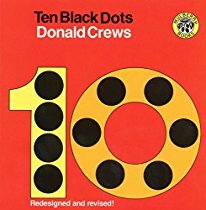 Use this book to practice counting and numeral recognition from 1 to 10, then follow up by having students create their own pictures from dots. 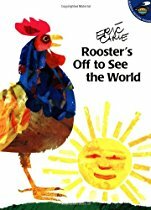 Eric Carle’s beloved tale Rooster’s Off to See the World, full of his signature bold colorful collage illustrations, is a classic read aloud about the wonder of adventure, and the security of home. Rooster is tired of living on the farm, so, one sunny day, he decides to leave his home in search of adventure. He sets off to see the world, but he’s soon feeling lonely, so he invites various other animals to accompany him on his journey - first two cats, then three frogs, four turtles, and five fish. There’s only one problem: rooster did not think about food and shelter, so one group at a time, his friends depart, and rooster is all alone again. As the animals first join and then leave rooster on his journey, they are depicted by a small graph in the top right hand corner of the page, effectively demonstrating the total number of animals on the journey. This graphic representation of what is happening in the story makes Rooster’s Off to See the World a great support for introducing early math concepts such as counting forwards and backwards, as well as simple addition and subtraction. After reading the story motivate kindergarten and first grade students to reason mathematically by asking them how many animals in all went off to see the world. “No luck . . . still stuck.” That’s the duck. He’s in the muck, stuck, until two fish, three moose, four crickets and 45 other animal friends arrive in groups to try to help free him, and he’s finally released with a satisfying “spluck.” This rhyming book has wonderful rhythm, great descriptive vocabulary, a built-in counting lesson and a message about the importance of cooperation. 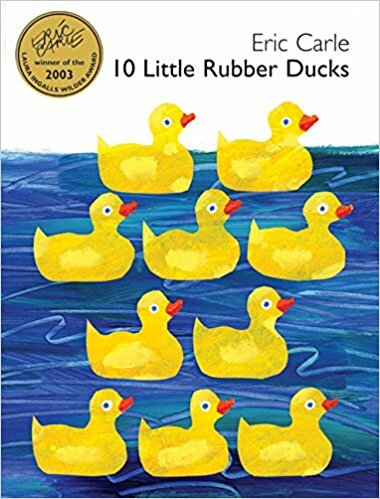 Each newly introduced numeral - from 1 duck to 10 dragonflies - is large and clearly presented, making this tale by Phyllis Root an engaging introduction to counting. 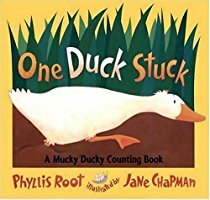 Use One Duck Stuck as a context for problem solving with your first and second grade students by asking them to calculate how many animals in all it took to rescue the duck that got stuck in the muck. “If you could truly have a wish, would you wish to be a fish?” Captivated students answer this question, posed at the end of Lois Ehlert’s beautiful counting book, with a resounding “yes!” - typically followed by a prompt request for a repeat reading. The brilliant tropical fish - glowing with greens, purples, oranges and pinks in a variety of shapes and designs - pop from the midnight blue pages, and cut-out circles at the eyes of the fish add further visual and tactile interest by revealing colors on succeeding pages. A single bold black fish leads readers through the sparse text, encouraging students to count on by one. Counting, addition, and shapes are all covered here, making it a flexible and visually striking counting book that supports various math-focused class activities. 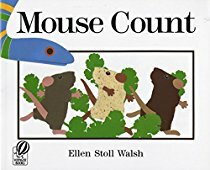 A delightful companion to Mouse Paint, Mouse Count is a perfect counting book for young students, combining Ellen Stoll Walsh’s signature, uncluttered cut-paper art with an exciting, original story about a group of cautious but sleepy field mice and a hungry blue snake who is lucky enough to stumble upon them sleeping peacefully in the meadow. He pops them into a jar . . . “one, two, three.” But, his eyes are bigger than his belly, and the greedy snake slithers off to find the final mouse - giving the mice in the jar the chance to uncount themselves as they scramble out of the jar and run home to safety. Students will count forward to ten with suspense as the snake collects the mice in his jar, and will count backwards with delight as the mice escape, one by one. Classroom activities to reinforce counting on and counting back, or addition and subtraction facts of ten - ideally involving cut out or model mice, and maybe a sock snake if you’re feeling ambitious! - will feel like a natural extension of the book and never fail to engage young students. A young magician, the narrator's sister, puts on a show, eating almost everything she comes across including one hare, two snakes, and three ants. However, when she gets to ten peas everything comes back up, alive and well. The illustrations show the wide-mouthed girl in various disguises: as a snake charmer swallowing her subjects; as a pirate making the doomed shrews walk the plank ... into her mouth, and so on. This cumulative rhyming book always elicits lots of giggles from young children who love to join in with the repeated text, "We thought she'd throw up then and there...but she didn't" and seem to find the outlandish delicacies eaten by the young girl grossly delightful. Be prepared for lots of repeat read-aloud requests! 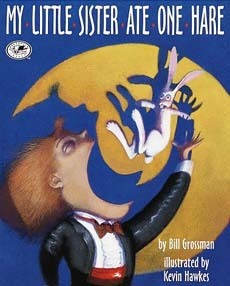 We've used this book in kindergarten, first and second grade. While in kindergarten we focus on the counting aspect of the story, in first and second grade we often do a follow up addition task after the read aloud. The 17th century German mathematician and philosopher Gottfried Wilhem von Leibniz once said that “music is the pleasure the human soul experiences from counting without being aware that it is counting.” Indeed, math is everywhere in music; patterns, note relationships, fractions, decimals, and percentages are all highly relevant to musical study. And while this Caldecott Honor book may not teach your students music theory, it will guide them through an array of orchestral instruments and the sounds they make: from the “mournful moan and silken tone” of a trombone to a flute that “sends our soul a-shiver; flute, that slender silver sliver.” It’s also a counting book, teaching students the musical names for groups of performers from an individual playing “solo” to a “chamber group of ten.” Combined with the playful, brightly colored artwork featuring the instruments and the musicians that play them (as well as a cute pair of concert-hall cats), Zin! Zin! Zin! 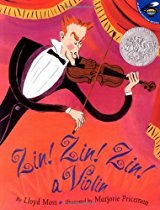 a Violin serves as a delightful introduction to the orchestra and a math lesson in one. 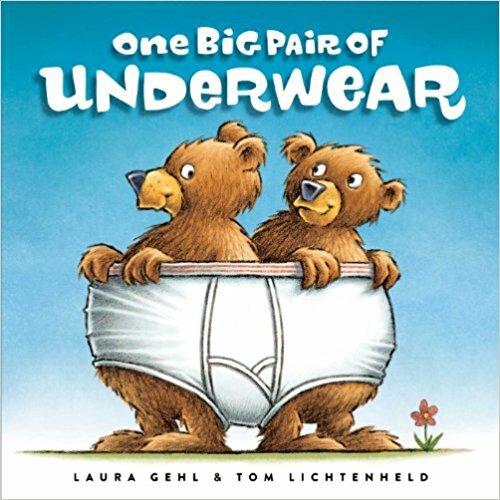 This picture book by Bill Martin Jr., with illustrations by Lois Ehlert, is perfect for reading aloud. The first caterpillar crawls up the stem of a wild rose bush. A second caterpillar wriggles up a flower. The third caterpillar climbs a cabbage head. The narrative continues until finally the tenth caterpillar transforms into a chrysalis and emerges as a tiger swallowtail butterfly. Ehlert’s vibrant watercolor collages depicting caterpillars, flowers and vegetation are labeled to encourage vocabulary development. 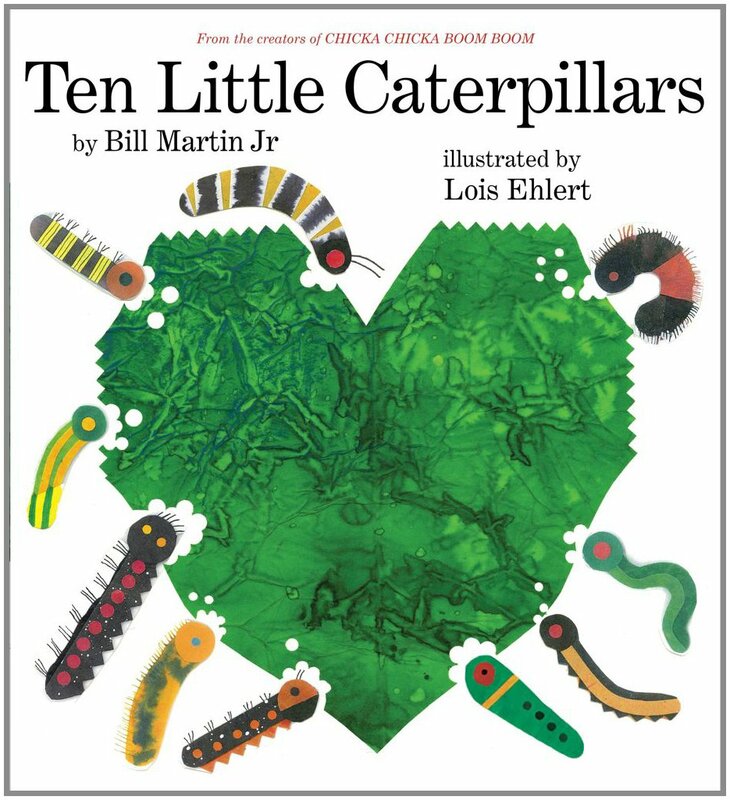 The final pages in the book revisit each caterpillar under the numerals 1-10 to provide information on their feeding habits and the type of butterfly or moth they transform into. 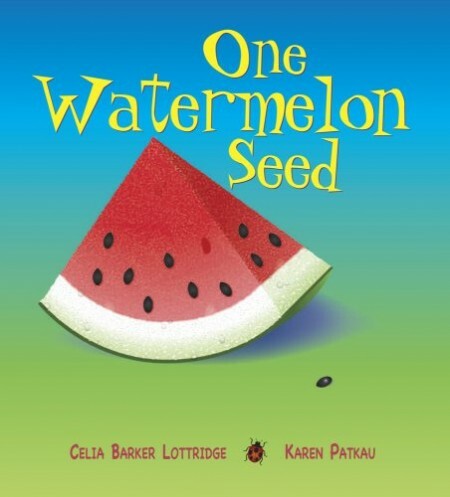 This picture book provides opportunities for children to practice ordinal words (first through tenth) and numeral recognition while learning lots of new vocabulary for plants, flowers, caterpillars and butterflies (e.g., milkweed, woolly bear caterpillar, painted lady caterpillar, monarch chrysalis).